Phnom Penh is known for historic sites, museums, shopping, sightseeing, and nightlife. 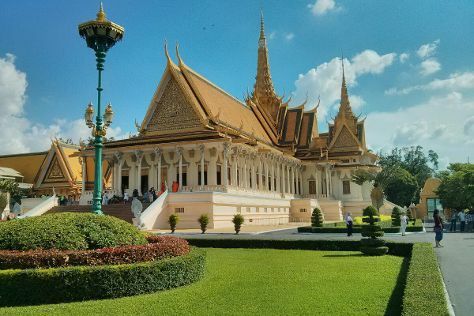 Your plan includes some of its best attractions: take an in-depth tour of Tuol Sleng Genocide Museum, contemplate in the serene atmosphere at Wat Phnom, step into the grandiose world of Royal Palace, and browse the eclectic array of goods at Central Market. To find photos, where to stay, other places to visit, and other tourist information, go to the Phnom Penh vacation builder. Brisbane, Australia to Phnom Penh is an approximately 16.5-hour flight. The time zone changes from Australian Eastern Standard Time (Queensland) (AEST) to Indochina Time (ICT), which is usually a -3 hour difference. Plan for warmer temperatures traveling from Brisbane in August, with highs in Phnom Penh at 39°C and lows at 30°C. Wrap up your sightseeing on the 29th (Tue) to allow time to drive to Kep. The seaside resort of Kep boasts a relaxed and relaxing atmosphere, and a number of points of interest, both natural and man-made. Kick off your visit on the 30th (Wed): explore the wealth of natural beauty at Kep National Park. On your second day here, appreciate the history behind Crab Statue and then head off the coast to Koh Tonsay (Rabbit Island). For photos, where to stay, ratings, and tourist information, read Kep trip itinerary planner. Traveling by car from Phnom Penh to Kep takes 2.5 hours. Alternatively, you can do a combination of bus and taxi. 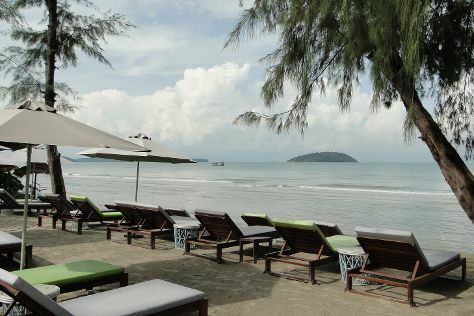 Wrap up your sightseeing on the 31st (Thu) early enough to drive to Sihanoukville. Here are some ideas for day two: kick back and relax at Serendipity Beach, stroll through Ochheuteal Beach, and then enjoy the sand and surf at Otres Beach. For other places to visit, reviews, where to stay, and tourist information, read our Sihanoukville vacation builder. Traveling by car from Kep to Sihanoukville takes 2 hours. Alternatively, you can do a combination of taxi and bus. Wrap up your sightseeing on the 2nd (Sat) to allow time to ride a ferry to Koh Rong. Kick off your visit on the 3rd (Sun): see some colorful creatures with a scuba or snorkeling tour. On the 4th (Mon), you'll have a packed day of sightseeing: don't miss a visit to Koh Rong and then whizz through the canopy at some of the top local zipline courses and adventure parks. To see more things to do, where to stay, maps, and other tourist information, read Koh Rong itinerary builder. You can ride a ferry from Sihanoukville to Koh Rong in an hour. Wrap up your sightseeing by early afternoon on the 4th (Mon) to allow time for travel to Kampot. 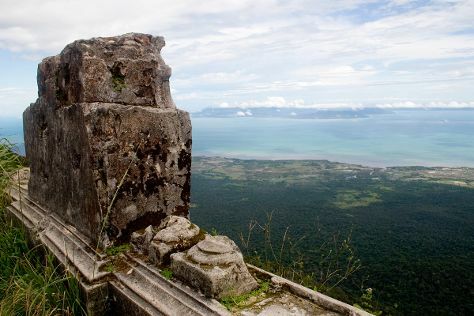 On the 5th (Tue), explore the wealth of natural beauty at Phnom Bokor National Park. Keep things going the next day: relax in the rural setting at La Plantation. To see ratings, photos, where to stay, and other tourist information, use the Kampot travel planner. Getting from Koh Rong to Kampot by combination of ferry and taxi takes about 3.5 hours. Other options: do a combination of ferry and bus. Wrap up your sightseeing by early afternoon on the 6th (Wed) to allow time for travel to Siem Reap. Explore Siem Reap's surroundings by going to Preah Ko (in Roluos) and Takeo (Prasat Neang Khmau, Phnom Da, & more). For ratings, where to stay, traveler tips, and other tourist information, use the Siem Reap tour planner. Getting from Kampot to Siem Reap by combination of taxi and flight takes about 4.5 hours. Other options: drive; or do a combination of bus and taxi. In September, daytime highs in Siem Reap are 38°C, while nighttime lows are 29°C. On the 10th (Sun), you're off tohome.